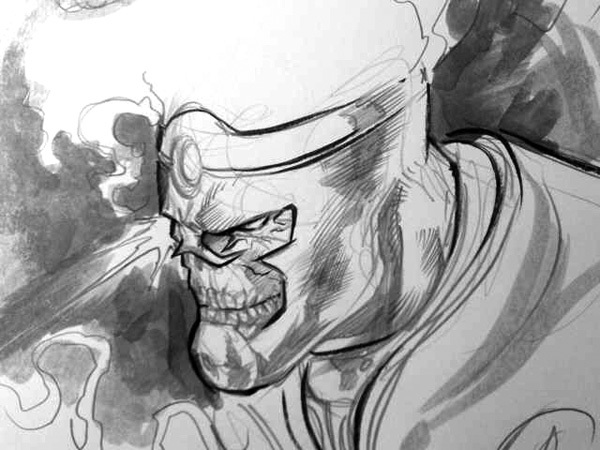 We’ve known Yildiray Cinar’s black and white marker work is amazing. Now check out this color piece that Yildiray shared on Twitter! These gorgeous colors were done by Steve Buccellato. You get a really good look at the new Firestorm costumes too! Click the image to enlarge. Wow! That was breathtaking! This next image was also posted by Yildiray on Twitter. This time around it’s the ten-foot Hulk-like being that Jason and Ronnie merge into. He looks downright creepy! 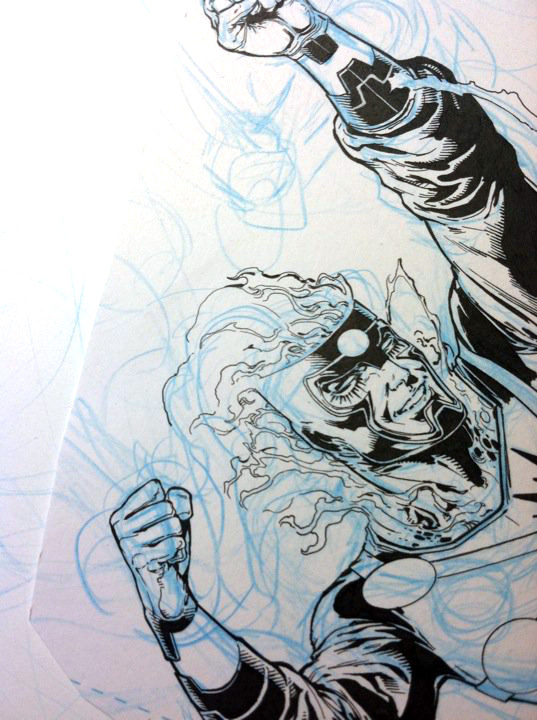 Finally, I stumbled across this Ethan Van Sciver drawing of the new Ronnie Raymond Firestorm! I found it over on Godmera’s Fandom where they stated it’s an outtake from FIRESTORM #1. I can’t confirm that, but this version of Ronnie does look happier than other drawings I’ve seen of the new Ronnie! Such beautiful artwork! I know I’ve said it before, but every day I get more excited for the debut of this book! Posted in: Comic books, Ethan Van Sciver, Firestorm #09: New 52 v1 (Firestorm Protocols), Firestorm comic vol. IV, Yildiray Cinar. I’m reading Brightest Day Vol. 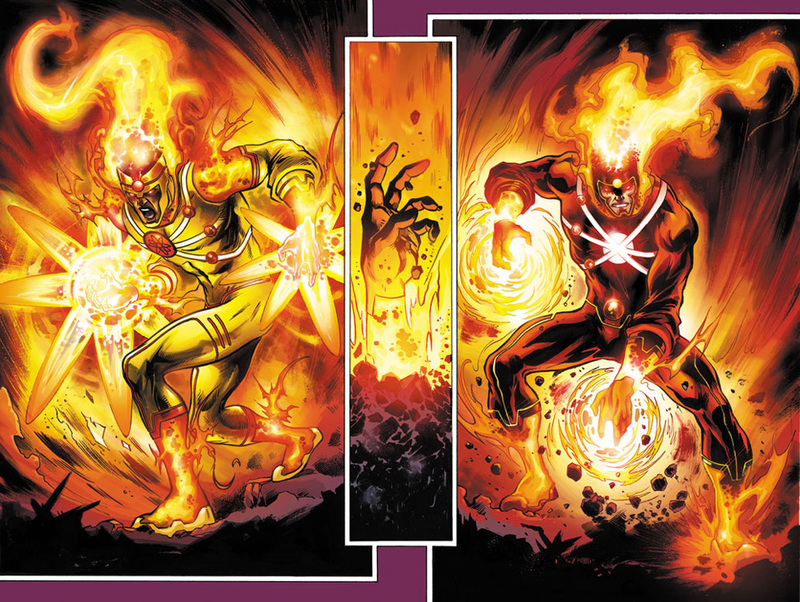 2, and only just now realizing how much the events of Brightest Day seem to dovetail into the new Firestorm series, with the two Firestorms above plus the monster Firestorm (the Matrix?). You all have probably known all this for a while now. It’s just making me that much more excited for the new Firestorm series — too bad it seems like I’ll be waiting until May or so for the collection! Aww, I miss happy Ronnie. Hopefully there will be a good mix of fun and action.